This couple highlighted a few problem areas they wanted to solve. 1. 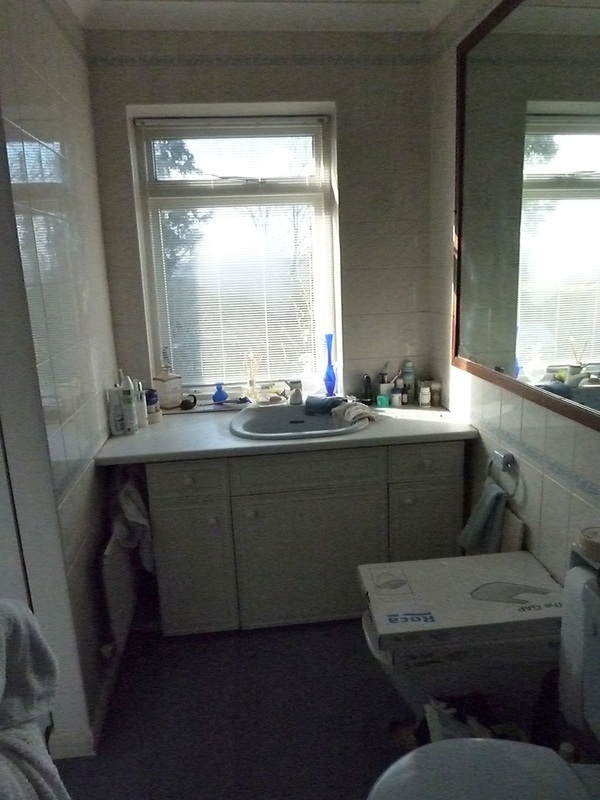 The handbasin was originally positioned directly in front of the window, but this caused issues with grooming as the mirror was on the wall on the right. 2. The handbasin was fitted under counter, thus losing most of the top shelf of the storage cupboard below. 3. The counter top was too wide to reach the window, forcing the client to climb on handbasin to utilise it. 4. The counter top also covered the radiator (situated at the left of the window) this restricted the warmth moving around the room. 5. 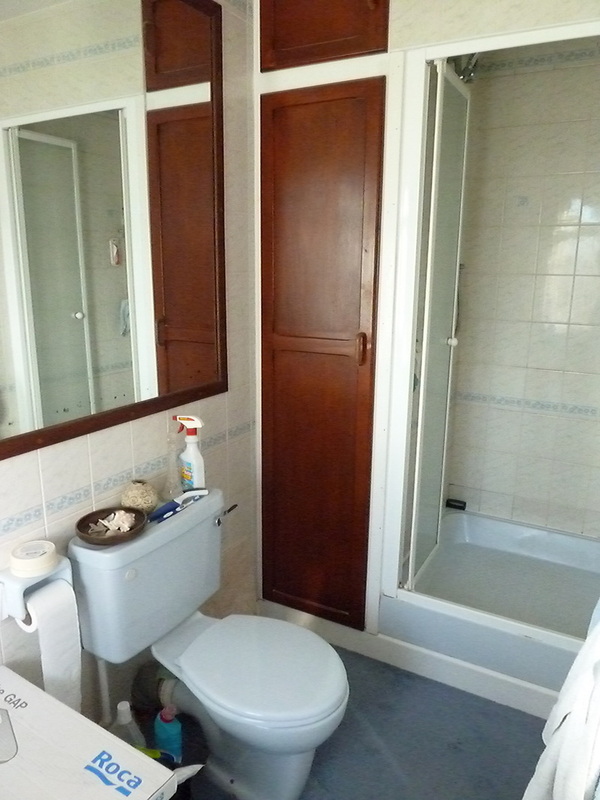 To accommodate the radiator and the handbasin the storage was small, and dead space occupied both sides of the unit. 6. The client had a small heated towel rail installed to add another source of warmth for the colder months and warm towels. 7. The client wanted to remove the carpet and replace the Artex ceiling, and install some modern effective lighting to replace the single light bulb and light shade. 8. Access to the en-suite bathroom was through a fitted wardrobe, this had caused dampness problems in the past due to lack of ventilation. I don't know why I was hesitant. I'm over the moon with the results of my Ensuite - Its such luxury, 3 years on it's like staying in a hotel. I can't resist showing it off to our visitors.